During the months of August & September 2016, 10 new comets were discovered, cometary activity was detected for 4 previously discovered object (earlier designated as an asteroid) and there were 3 comet recoveries. "Current comet magnitudes" & "Daily updated asteroid flybys" pages are available at the top of this blog (or just click on the underline text here). 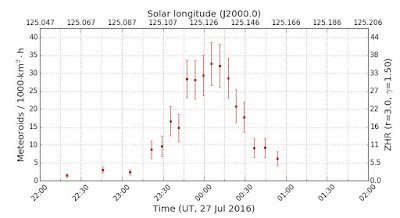 Aug 02 July Gamma Draconid meteor shower showed a little outburst between July 27d 23h56m and July 28d 00h23m UT as showed by IMO and CAMS meteor video camera networks and by Canadian Meteor Orbit Radar data. 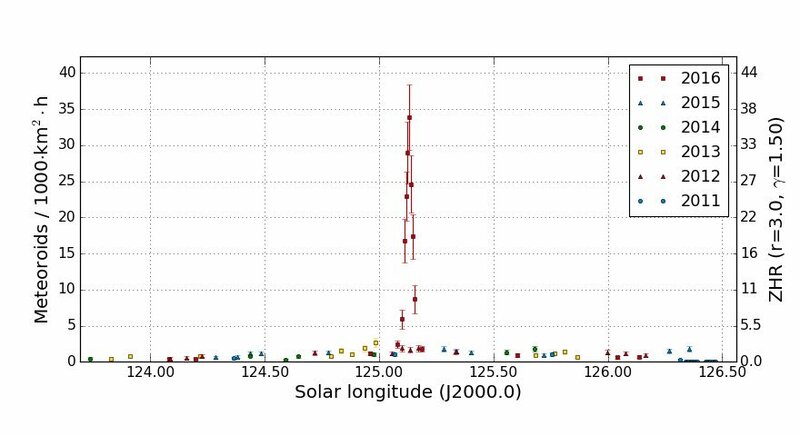 The observed rate translates to a peak zenith hourly rate for a visual observer (assuming a differential mass distribution index of 1.9) of about 50 meteors per hour for the period 0h-1h UT on July 28. Aug 04 A bright sungrazer heading towards the Sun imaged by the ESA/NASA Solar & Heliospheric Observatory SOHO 03 & 04 August 2016. 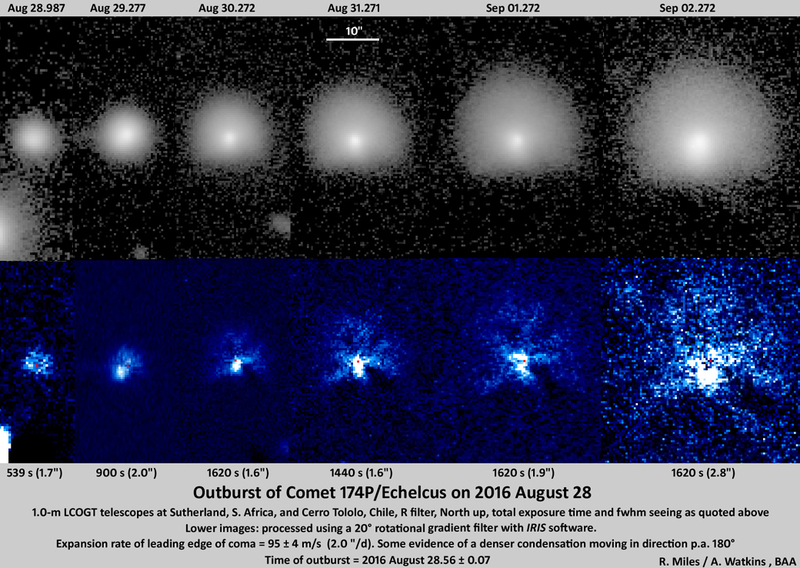 Sep 01 Comet 174P/ECHECLUS = (60558) ECHECLUS was found in outburst by P. Camilleri, brightening from magnitude r' = 17.8 to 15.2 between Aug 27.745 and 28.686 UT in a photometric aperture of radius 5".2. 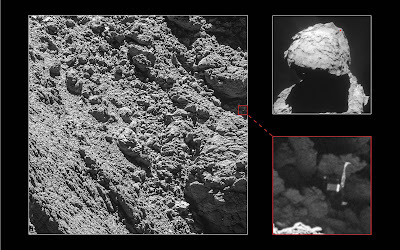 Sep 05 The search for @Philae2014 is OVER! Less than a month before the end of the mission, Rosetta’s high-resolution camera has revealed the Philae lander wedged into a dark crack on Comet 67P/Churyumov–Gerasimenko. 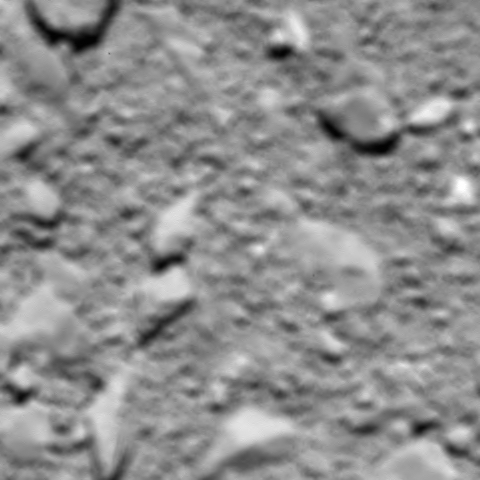 The images were taken on 2 September by the OSIRIS narrow-angle camera as the orbiter came within 2.7 km of the surface and clearly show the main body of the lander, along with two of its three legs. 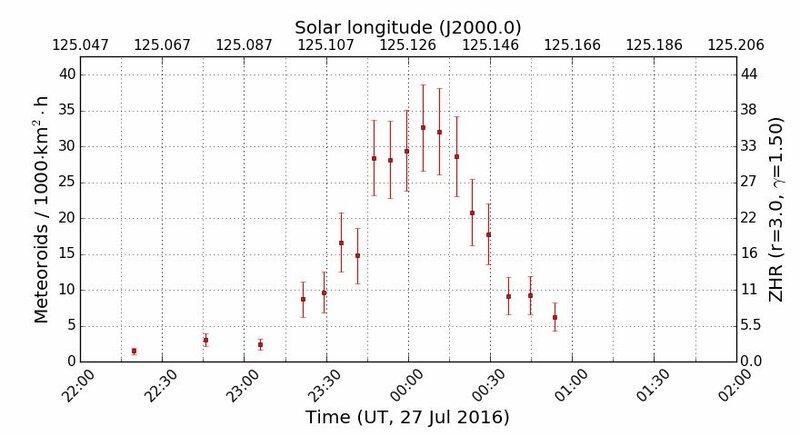 Sep 07 Close approach of asteroid 2016 RB1. 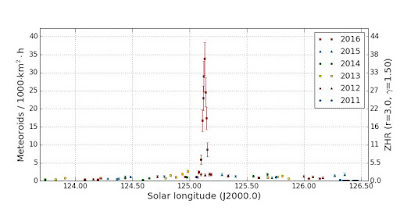 Asteroid 2016 RB1 (estimated size of 7.3 m - 16 m) had a close approach with Earth at about 0.1 LD (Lunar Distances = ~384,000 kilometers) on 2016, September 7 at 17:20UT reaching a peak magnitude of about +12.3. 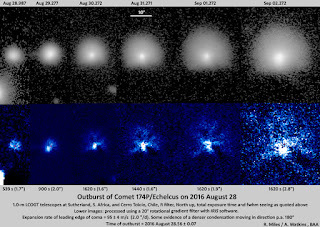 Sep 24 Time-resolved observations of the split comet 332P/Ikeya-Murakami were taken using the Hubble Space Telescope. 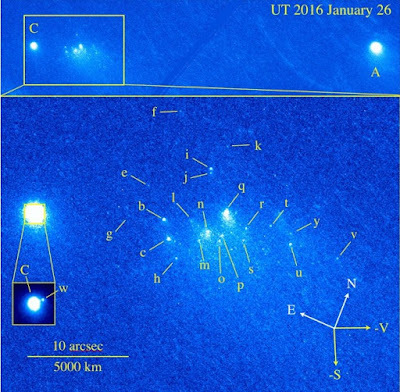 Credit: D. Jewitt et al. 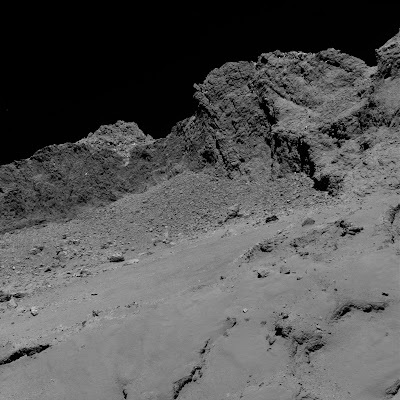 Sep 30 ESA’s historic Rosetta mission has concluded as planned, with the controlled impact onto the comet it had been investigating for more than two years. Confirmation of the end of the mission arrived at ESA’s control centre in Darmstadt, Germany at 11:19 GMT (13:19 CEST) with the loss of Rosetta’s signal upon impact.